Chicks at this age are white going to grey, have bright black eyes, and bobble because they have trouble holding their heads up. it was drizzling rain and all was dull grey so I hope the photos are ok. The osprey has returned!! and at least 3 weeks early. I usually see them start to arrive about March 3. 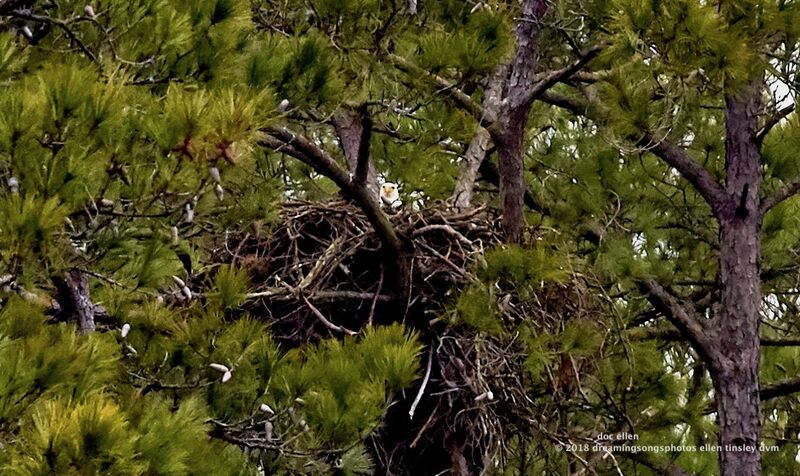 While watching the eagle chick, I heard the osprey before I saw him. 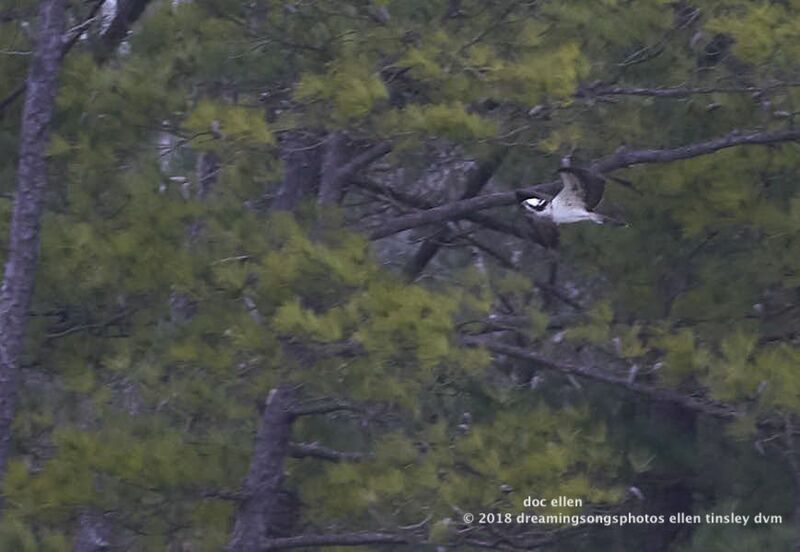 I thought I was hearing things in anticipation of warmer weather, and there came the osprey around the shoreline. Posted in birds, eagle families of Jordan Lake, Eagles of Jordan Lake, Jordan Lake, Jordan Lake State Park, ospreys of Jordan Lake, photography, raptors, wild birds and tagged as American bald eagle, bald eagle, bald eagle chick, bald eagle parent, bald eagles of Jordan Lake, eagle, eagles of Jordan Lake, First Nest, immature bald eagle, immature eagle, Jordan Lake, Jordan Lake State Park, osprey, osprey flight, ospreys of Jordan Lake, raptor.